The RAV4 is a big money maker for Toyota, especially in the U.S. With sales exceeding that of popular models like the Corolla, Highlander and Tacoma, it’s easy to see why the Japanese automaker can’t afford to get it wrong with its top-seller in the States. To further stress the importance of the American market, Toyota decided to reveal the RAV4’s fifth generation not in Geneva, but in the New York Auto Show that’s coming up in a few days. 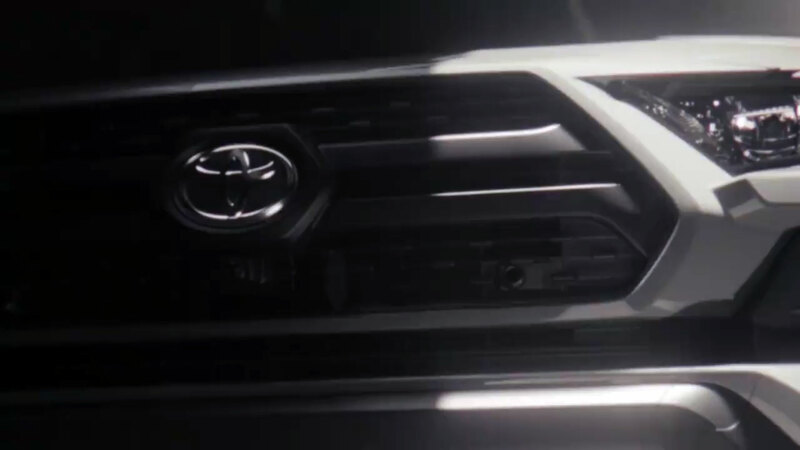 As is often the case with such vehicles, lots of info has already been leaked, and the company itself released a single teaser image which, however, shows just a dark shape and nothing more. So we gathered all we know about it to let you know what to expect from the new RAV4. All previous generations were designed to please most of the customers without offending anyone, so they were hard to fault, but they were far from exciting. 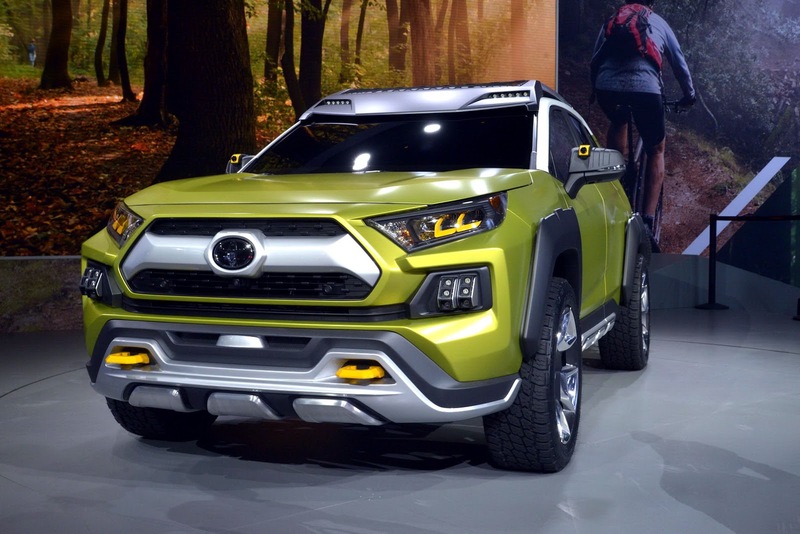 That is about to change with the 2019 model, which will be much more aggressive, adopting some styling cues from the FT-AC (Future Toyota Adventure Concept) study. Of course, it toned down the concept‘s most extreme features like the fender flares, lower side cladding and roof fixtures. At the front, differences include a two-bar grille, softened fog light housings and lower intake design. Checking out the rear sees the same taillights, however the bezels are brighter and lower bumper cladding is smoother. 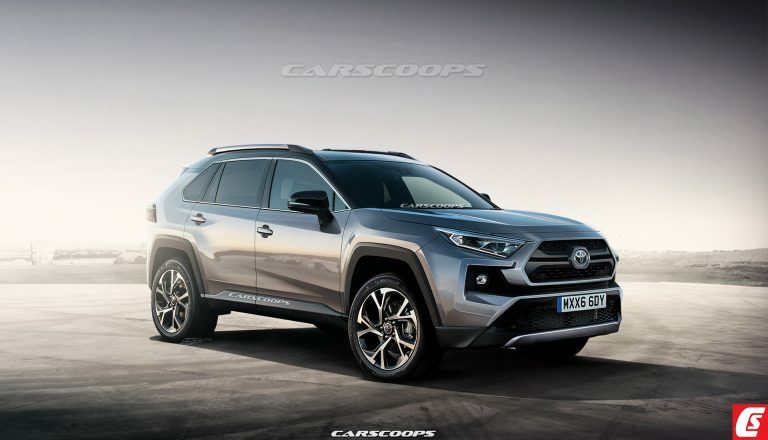 The overall look has an FJ cruiser or Tacoma-like feel, and if our resident artist’s rendering is correct (which we believe it is), then the 2019 RAV4 should look like this. Quite an improvement on what has gone before, isn’t it? The automaker’s versatile TNGA (Toyota New Global Architecture), which is already used in wildly different models, from the Prius hatch and C-HR subcompat crossover to the Camry midsize family saloon and the brand-new Auris C-segment hatch will underpin the all-new RAV4, too. It should offer improvements in both ride and handling without any compromises, and the new RAV4 will be much more fun to drive compared to its predecessor. Toyota’s Safety Sense system that incorporates autonomous emergency breaking with pre-collision warning and pedestrian detection will be standard, and it will be combined with lane-keep warning + assist, auto high-beams, adaptive cruise control and rear cross-traffic alert, thus forming a top-notch safety suite. In the interior, we expect more premium materials and the latest tech, such as a heads-up display and the Entune 3.0 infotainment system incorporating 4G LTE in-vehicle Wi-Fi, JBL audio and Apple Car Play, which should be similar to the one we’ve already seen on the 2019 Avalon (pictured above). What powertrains will the North American model get? In North America, the base offering will be a 2.5-litre “Dynamic Force” inline-four with variable valve timing, multi-hole direct injection and variable cooling. Moreover, it should be more powerful, with output rising from the current model’s 176 hp and 172 lb-ft of torque to 206 hp and 186 lb-ft (252 Nm), which is what this unit produces in the new Camry. 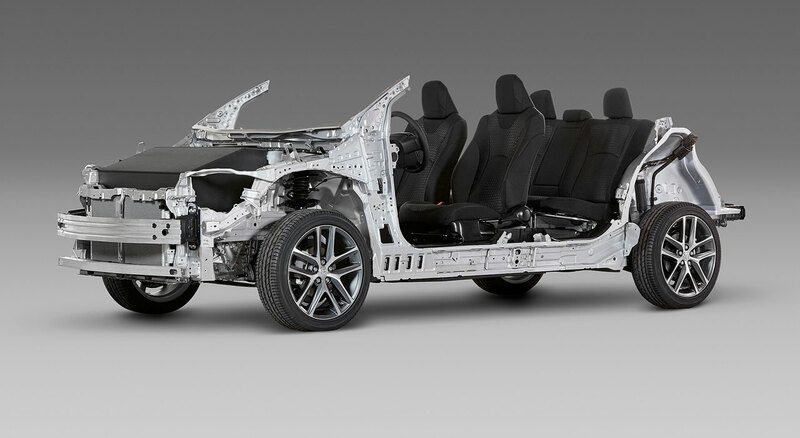 Similarly, the hybrid version is expected to share its powertrain with the current Camry hybrid which combines a 2.5L four with an electric motor turning out a total system output of 208hp. In the aftermath of Dieselgate, sales of diesel-powered vehicles have plummeted even in markets where they have traditionally been strong, such as Europe. Thus Toyota, which already planned to phase out diesels from its models by the end of the year, won’t offer the 2019 RAV4 with an oil burner. In fact, in Europe, the SUV will follow the Auris’ example that has ditched diesels but offers not one, but two hybrid engines. The first is the 120hp (122PS) 1.8-liter powering the Prius, and the second a new 2.0-liter unit with 178hp (180PS). Gasoline engines aren’t dead yet, though, so the new RAV4 will come with at least one such powertrain. In Europe, it will probably offer a naturally aspirated 2.0-liter engine. Any developments with the transmissions? Which SUVs are its rivals? The compact SUV segment is a highly contested one, so the RAV4 will have to face other top-selling models like Honda’s C-RV, Ford Escape, Mazda CX-5, Chevrolet Equinox, Jeep Compass, Subaru Forester, Nissan Rogue/X-Trail and Kia Sportage/Hyundai Tucson. Initially, we expected the RAV4 to be launched later this year, at the LA Auto Show in the fall, or in early 2019 at the Detroit Auto Show. However, as we’ve already mentioned, it will make its debut much sooner, more specifically on March 28 at the New York event. So, it’s all-change for the RAV4, which had received its latest update in 2013. The one thing Toyota hopes won’t change is its best-selling status. So, what say you: are the Japanese onto something or not? Let us know in the Comments section right below. 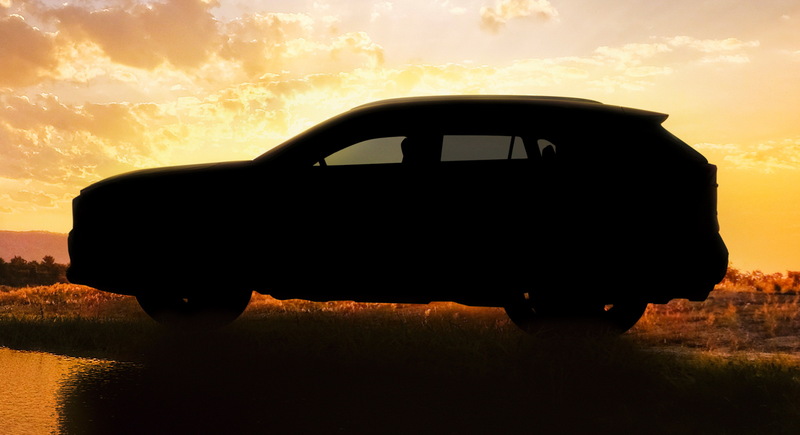 0 Response to "2019 Toyota RAV4: Everything We Know From Specs, News To Renders And Teasers"